Whole home cartridge filters for removal of sediment, chlorine tastes and odors, organic chemicals and more. 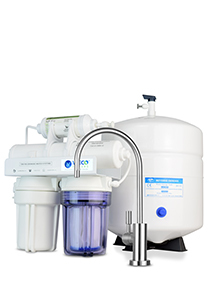 Automatic backwashing filters for whole home water purification of drinking, bathing, cooking and laundry. But that’s not all! 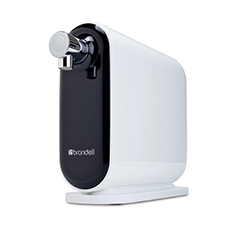 Your water filtration system requires periodic servicing to keep it working efficiently and ensure you’ll always be drinking the purest, best-tasting water. Grand Water’s Home Depot certified plumbers will take care of any maintenance your filter system needs. Residential installation is economical and trouble-free. 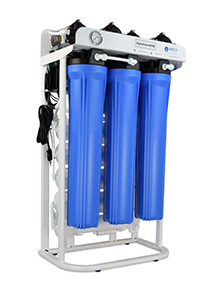 The installation cost of a typical under-counter reverse osmosis filter system costs approximately $85.00 excluding the filter. A whole home automatic backwashing filter installation costs approximately $350.00 excluding filter and materials. If you’re in charge of a commercial business, WECO has you covered. We design and build high-capacity water filtration systems for manufacturing, health care facilities, laboratories, universities, food preparation, hotels and hydroponic operations to name just a few. 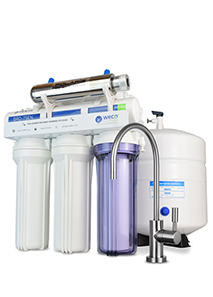 Grand Water plumbing professionals can install your WECO commercial water purification system with the same attention to detail they give to residential installations. 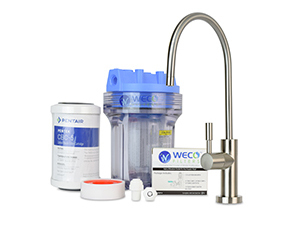 We can also arrange for scheduled maintenance of your WECO water purification system so you won’t have to worry about down time or running out of high-quality process water. Replacement of backwashing filter media including ion-exchange resin, granular media, etc. We’ll save your facility time and money by scheduling preventive maintenance, ensuring your water purification system is always functioning at peak efficiency and output. 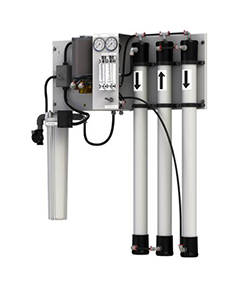 Your filtration system will be serviced using the proper OEM filtration media and hardware, guaranteeing everything remains within manufacturer’s specifications. Our local service area ranges from San Fernando to Palm Springs, California. We can arrange for installers to travel virtually anywhere in the world provided travel, labor and lodging expenses are covered. 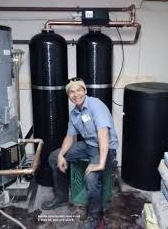 Our filtration engineers can specify a custom filtration system and arrange for installation and maintenance through third-party installation and service professionals. Please contact WECO customer support for details. 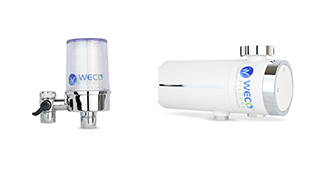 WECO is a manufacturer of water filtration systems. Grand Water screens and selects their contracted plumbing installers. Grand Water manages installation and maintenance activities, communicating directly with the client and plumbing subcontractors. Grand Water is responsible for all activities and services provided by their subcontractors.